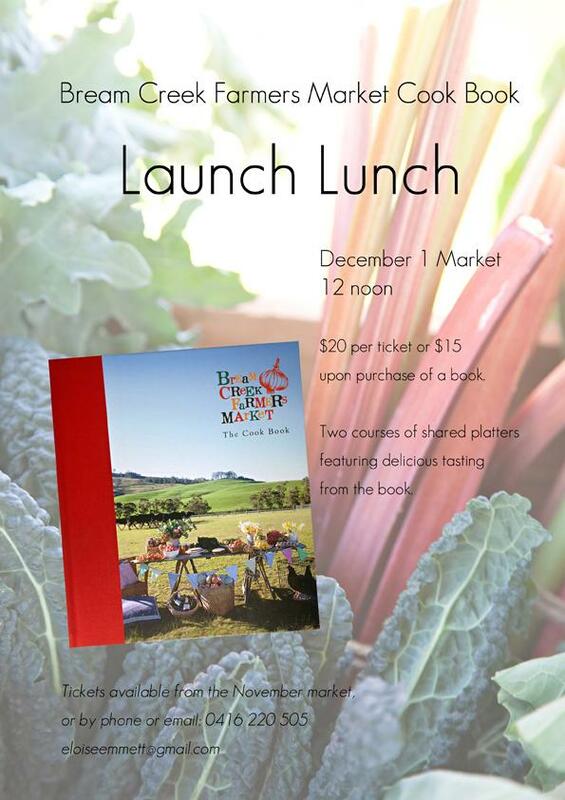 To celebrate the official launch of the Bream Creek Farmers Market Cook Book, a long table lunch will be held at the Market on Sunday Dec 1, starting at 12pm. The lunch will feature recipes from the new book, and will include the following delicious recipes from the wonderful and creative BCFM Stallholders – what a feast! A big thank you to all those stallholders who are contributing food to the long lunch! Please help to support the stallholders who have supported the Bream Creek Farmers Market Cook Book by swinging by their stalls and picking up a few goodies. girls, the long table lunch was incredible, delicious, heart-warming, fun….everything that I love! Thank you sooooo much! « Gorgeous Gourmet BCFM Hampers!